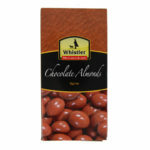 When it comes to freshness and crunch, nothing beats a Whistler Nut! Based in the stunning Hawke’s Bay, Whistler supplies top quality snack foods and beverages to the hospitality industry throughout New Zealand, including leading Resorts, Hotels, Motels & Corporate Gift Companies. Whistler also caters to Deli’s, Bars/Café’s, Wineries and other hospitality businesses, we also provide one-off options for seminars and corporate functions. With our top quality, stylish packaging you can have absolute confidence in the Best By dates and have a product that will bring them back for more! So whether you’re looking for superior products for your minibar, something to include in your gift baskets or a special treat for your corporate guests and clients look no further as you’re bound to find what you need at Whistler. (If you can’t please tell us and we will leave no stone unturned to find it for you!). Almonds are incredibly healthy and so is chocolate (surely cocoa counts as a fruit? 5 plus a day?) so combine that with the stylish packaging and it’s no surprise this is one of our most popular products with hotels and gift companies. 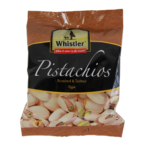 The challenge with these is to open the box and not eat the lot in one go..
Roasted and salted, these Pistachios are a perfect pick-me-up or a delicious reward at the end of a hard day’s work. 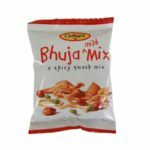 The stylish packaging makes them stand out in a minibar or gift basket and they are a very, VERY, hard to resist snacking option. Peanuts – honey roasted – who doesn’t enjoy them? Priced to be a fantastic minibar option your guests will appreciate or which will fill out your gift basket in style. 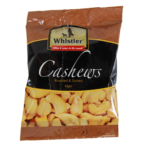 These cashews not only look fantastic in the Whistler packaging they taste great too. Yes they’re healthy but to be honest, after a long day or as a pick-me-up in the middle of one, what could be better? As with all Whistler products our superior packaging means you can have total confidence in the best by date – these products will retain their great taste and still look smart as well. A moreish Indian-style snack with peanuts & peas flavoured with spices & mild chilli. The perfect party & snack food! Snappy packaging looks great too! Coffee at its' finest. 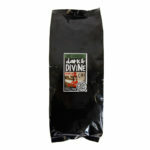 Certified Free Trade and Organic, made from beans of the highest quality, roasted and ground to perfection. 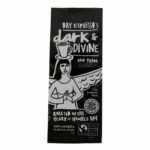 The finest quality coffee beans, certified organic AND also Free Trade, roasted in the heart of Hawke's Bay for a delicious premium blend – what could be better? 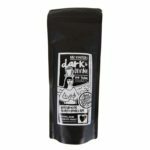 Loved by so many locals the word is spreading fast about this supremely good coffee, and funky packaging to boot. This 2-cup plunger pack is perfect for in-room use but also looks so cute in a gift basket. And as for chocolate? Well, the ancient civilisations of South America knew a thing or two as they incorprated cocoa products throughout their diet and even used beans as currency! Of course we should consume this deliciousness in moderation (as with all foods) but if you haven’t been good enough today to deserve a little chocolate then you must have been very, very bad indeed. Subscribe to our quarterly newsletter to receive special deals and offers straight to your inbox.